This offer is one we’ve been looking forward to for quite a while now, so we are pretty excited to present you a very special product – a high-end gaming laptop from Novatech. You may be tempted to say that “gaming” and “laptop” are two terms that don’t have much in common, but we’ll let the Novatech Elite N1716 prove you wrong. A quick look at its specs will allow you to understand what we’re talking about: Intel i7-3630QM processor, 16 GB RAM, 1 TB hard drive paired with a 128 GB SSD and, the cherry on top, the most powerful mobile video card of the moment – the AMD Radeon HD 7970. Sounds impressive? It is! 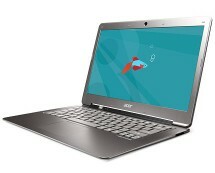 However, this beauty is not the cheapest laptop out there, coming with a price tag of £1279.99 from Novatech.co.uk. The price is quite fair if you consider the performance this beast delivers, so don’t settle with anything less and opt for the ultimate performance now. Novatech is quickly becoming our favourite brand because, as we said when we reviewed the Novatech N1520, it always manages to surprize us. If the previously reviewed laptops were seriously giving competitors a hard time, the one we’re dealing with today gives them no chance whatsoever, dominating them at each and every chapter. 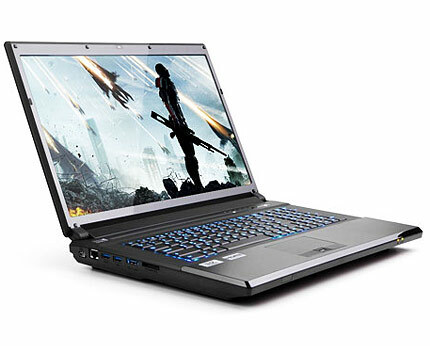 The only worthy competitors for the Novatech Elite N1716 are laptops that pack in dual high-end video card configurations, but considering the fact that such configuration costs at least twice as much and the overall performance difference is not that big, we are clearly talking about two different categories here, the latter being aimed at enthusiasts with no budget limit. Still, the Novatech Elite N1716 can run most games at their highest settings, with very few exceptions, so we can say without any exaggeration that this laptop truly is the best choice in terms of gaming laptops at the moment. The Novatech Elite N1716 is not the most beautiful laptop out there, that’s a fact, being far less impressive than an Alienware for example. 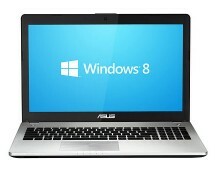 Yet again, it’s far cheaper than an Alienware as well, so comparing one to the other wouldn’t be appropriate. 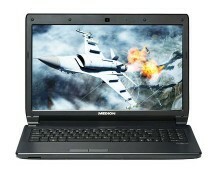 Given its huge 17.3” display, the N1716 is anything but small, with the body of the laptop being quite thick and bulky. Thick and bulky might not be the best aspect for a laptop, but the fact that this is a gaming laptop makes the overall massive aspect OK, giving the impression that it can take on everything. And it can. Let’s get a bit technical and see what this laptop is really capable of. At the base of its configuration we have an Ivy Bridge Intel Core i7-3630QM, a quad-core processor running at 2.4GHz, capable of boosting up to 3.4GHz if needed. This processor gives the laptop the raw processing power it needs to handle everything without sweating, whether we’re talking about multimedia, demanding programs or games. Its not all the processor’s merit, though, as the huge amount of RAM also has a say in this. We’re talking about 4 modules of 4GB each, meaning a whooping 16GB of high-speed DDR3 1600MHz memory. In terms of storage, the N1716 comes with two drives, a 1TB mechanical hard drive that provides the storage space you need and a high-speed solid-state drive with a capacity of 128GB for the operating system and software. We saved the best for last; you guessed it, we’re talking about the video card. 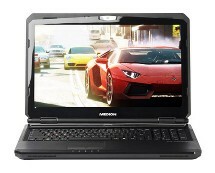 Handling the graphics is a 2GB AMD Radeon HD 7970 – the most powerful mobile video card at the moment. This section is somewhat useless because, as you may guess, this laptop flies through anything. We tested several games, including some of the latest titles such as Diablo 3, Battlefield 3, Crysis 2 or Metro 2033. From all these, the only one we encountered some issues with was Metro 2033, which didn’t manage to run at a playable 30+ fps frame rate at a 1920 by 1080 resolution with all settings to ultra high; all the other games ran perfectly, with all settings pushed to the maximum, including Antialiasing and Anisotropic Filtering. All we can say is WOW. Performance is not the only thing that Novatech didn’t want to compromise, as the N1716 is one of the best equipped machines out there. We’ll skip all the “small” features and details such as connectivity ports and focus on the distinctive features that make this laptop even more impressive than it already is. We’re talking about the 2.1 audio system that’s surprisingly powerful for a laptop audio system, the fully-lit keyboard with customizable colours and the superb 17.3” LED-lit Full HD display. We could go on and on about how awesome this laptop is but we think that you got the idea already so all we say is that, if you really want performance and you have the money, go for it!